Career Information Day is set for 11 a.m. to 1:30 p.m. Wednesday, Jan. 30, in Hardin Hall. 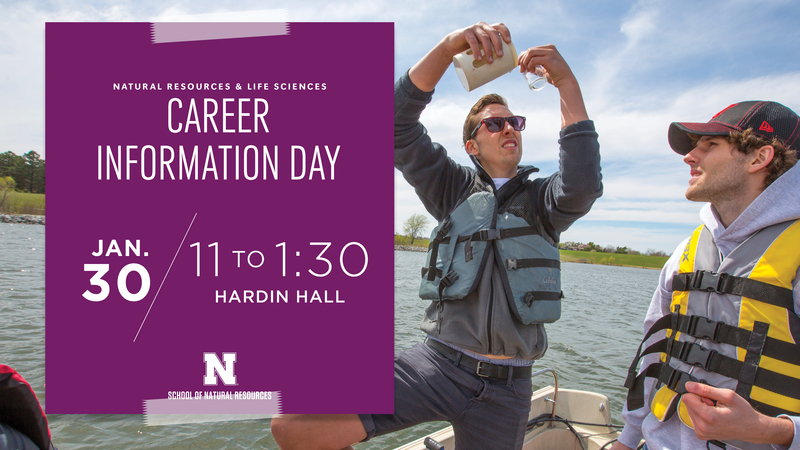 The Natural Resources and Life Science Career Information Day in 11 to 1:30 p.m. Jan. 30 in Hardin Hall. Students will have the opportunity to network with employers and learn about volunteer opportunities, internships and full-time career possibilities in life sciences fields. Find a complete list of vendors here. Students with an N card will receive free pizza for attending the event.